AVN-PXH12 12 x 2 Channel Mix Monitor, AoIP Portal at Sky. 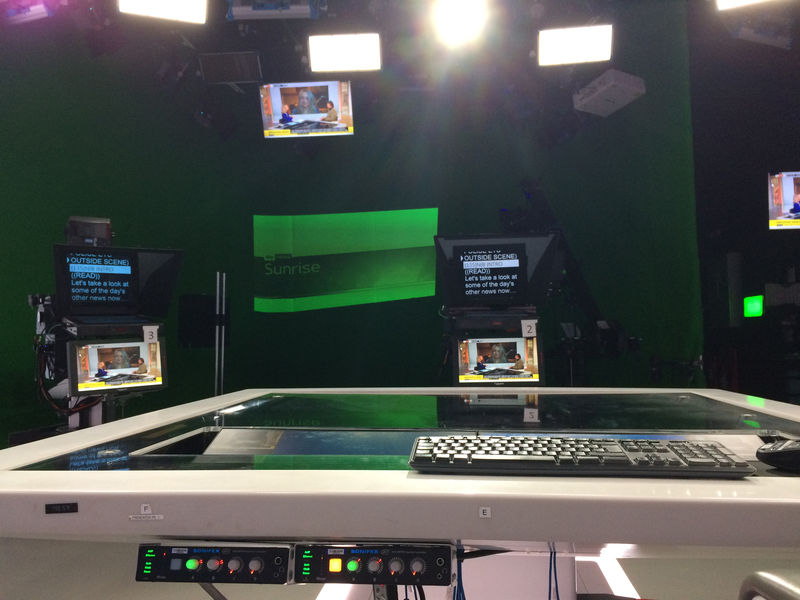 Sky Studios is now home to a brand-new, purpose-built digital news production facility comprising two production galleries, three studios and the newsroom as well as all associated staff, functions and facilities. The new complex is designed to consolidate the various strands of journalism and production workflows to allow better collaboration and more efficient use of content across different output platforms. 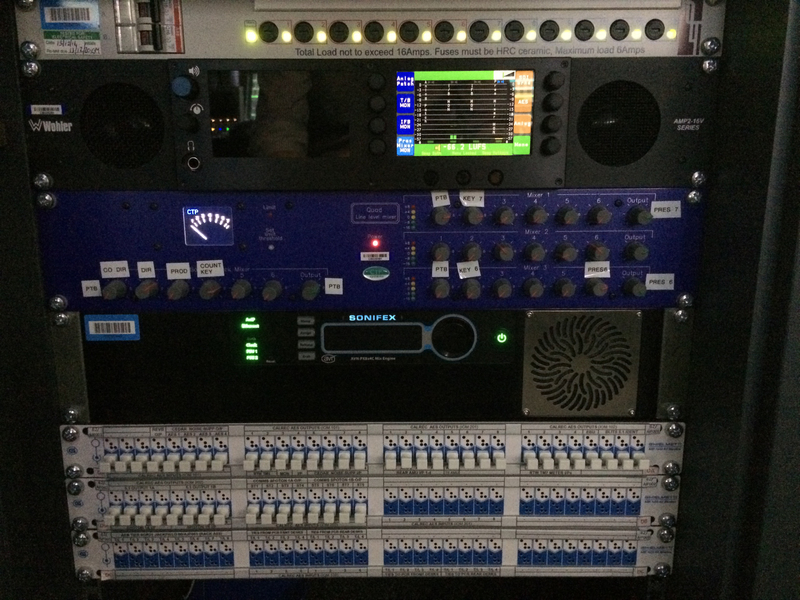 According to Tom Pidsley, Project Lead for Sky Production Services who oversaw the audio aspects of the technical installation, it was the ideal opportunity to move part of their workflow over to IP. "This was our first toe in the water with Audio-over-IP, so we have a way to go before we are fully AoIP, but we’re already appreciating the difference," he commented. 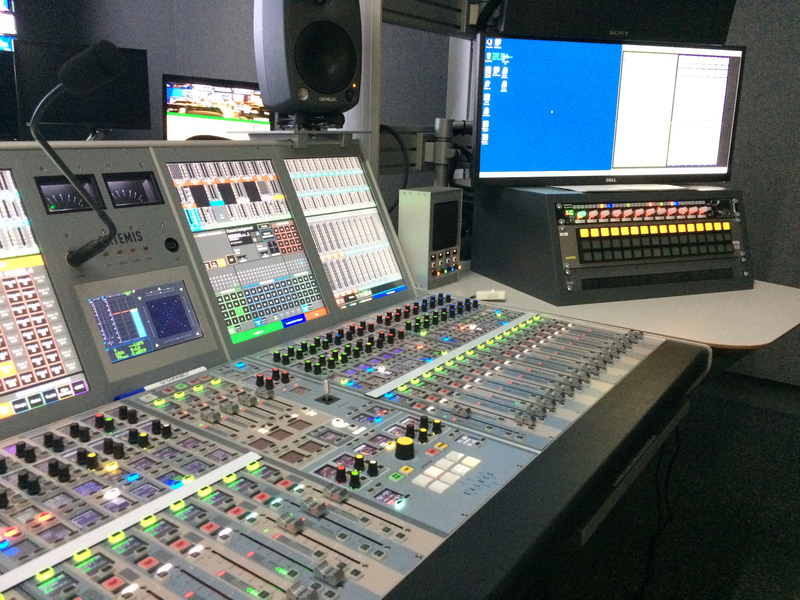 "We elected to use RAVENNA as our main audio transport technology to ensure maximum compatibility with future video standards such as SMPTE ST-2110, as well as current compatibility with AES67. It suits our purpose perfectly." 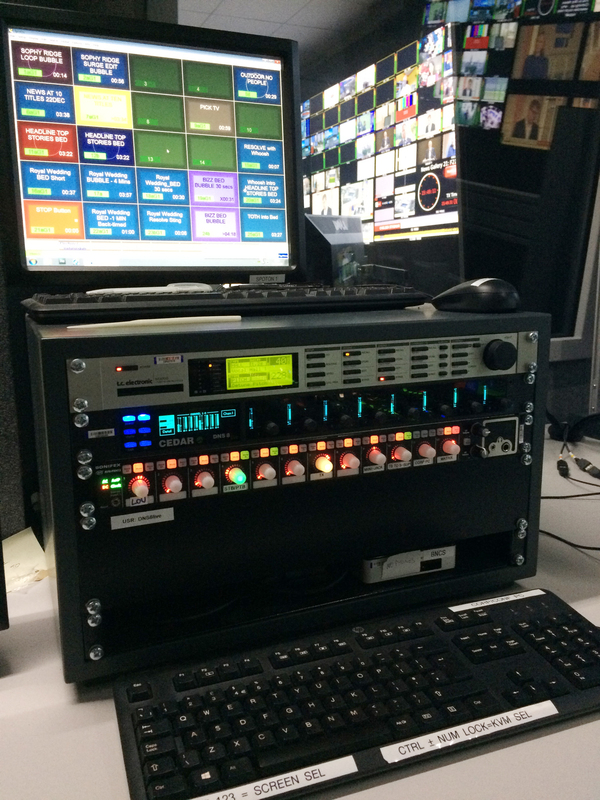 "In all of our production galleries, old and new, each operational position is equipped with a PC, a Talkback panel, a video monitor with source selector panel, and an audio monitor panel, plus any specific hardware required for the particular role," he said. 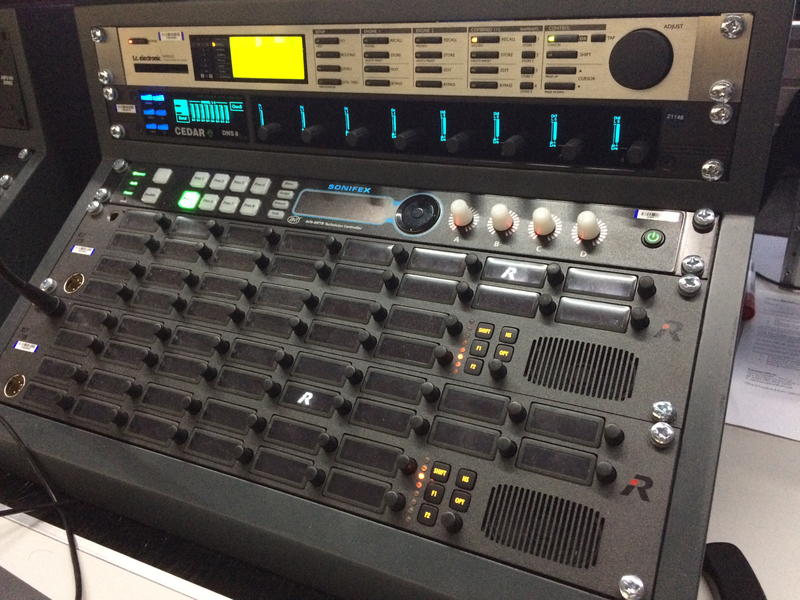 "For this project, we had an opportunity to revise how we managed the audio monitoring – previously we had used analogue mixers fed with multiple audio sources, requiring lots of patchbays, audio distribution amps, and a lot of copper wiring. Our application seemed ideal for trying out AoIP with its inherent distribution capability, so we went out to tender with a general specification based on IP resulting in a contract with Sonifex for their AVN-PXH12 unit." "In our installation, this is fed with local PC output, Talkback panel outputs (for mixing into headphones when used), audio streams from the selected video source, Programme Sound, Production Talkback, Presenter pre-fade listens, and other individual sources as required. The majority of the inputs arrive via a RAVENNA AoIP network implemented to link our Calrec audio console and the Sonifex products. In use, the operator can quickly adjust the mix between sources, as well as either mute or “Solo” any source as required. Audio activity on any source is indicated by different colour illumination of the volume controls, making it simple and intuitive to determine the source of each audio stream. It is also possible to direct the audio from each source to Left, Right, or Both (in stereo) sides of headphones when used, enabling separation of signals." Pidsley and his team are very pleased with the results, not least because of the vastly reduced installation costs, both in terms of time and materials – the savings in copper wiring alone are huge, and of course no need for the ranks of patchbays previously required: "The ability to change any audio source feeding any of the mix monitor unit inputs via a web browser is invaluable," remarked Pidsley. 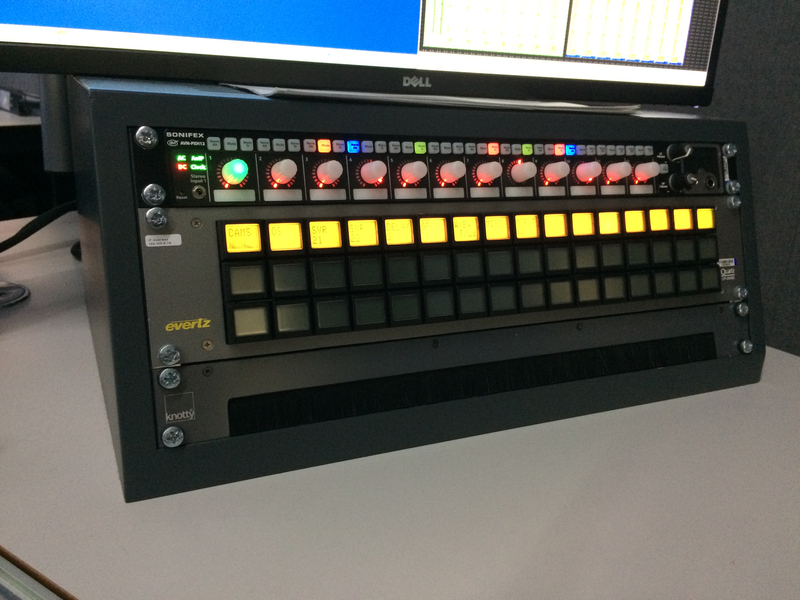 "Previously we would have had to physically re-patch via the patchbay, or worse still, re-wire. With the new Sonifex AoIP units, production staff know that they can ask the Sound Supervisor to switch sources and it will be actioned immediately. Furthermore, this system enables us to have twice as many sources available as our previous analogue units, making it bigger, faster, more flexible and easier to implement." "AoIP using PoE network capability fitted the bill perfectly," said Pidsley. 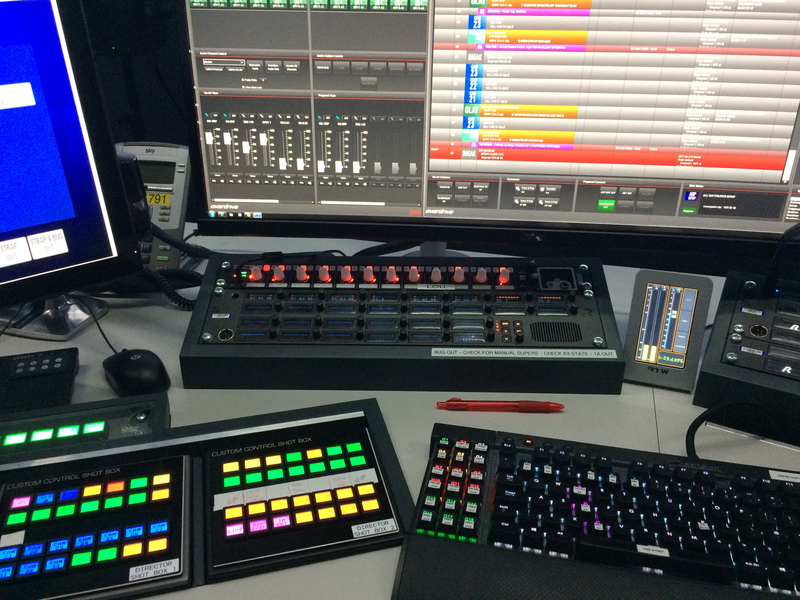 "Sonifex were able to meet our design challenges and even offer additional functions and improvements like GPI switching/indicating as well as a dedicated technician version of the presenter remote with built-in management facilities in a hardware GUI. Throughout the tender and subsequent contract process, Sonifex showed an ability to understand and improve on our requirements and to build and document accordingly, making it easy for our implementation engineers to integrate the products with the rest of the project." "The system works really well, allowing the presenters to manage their audio sources as required and concentrate on doing what they do best! Our Sound Supervisors are able to see at a glance how the presenters’ units are set and if necessary make adjustments on their behalf with automatic monitoring of the corresponding audio. It’s an excellent solution." "Overall, we’re very pleased with the results of our collaboration with Sonifex who have been helpful and supportive throughout, and of course the performance of the RAVENNA-based AoIP system has significantly improved our workflow,” continued Pidsley. “My role as Project Lead is to ensure that Sky’s technical projects deliver real benefits for the production and operational teams that take over once the project is delivered. I think we can safely say that mission has been accomplished, and we will definitely consider integrating more IP workflows throughout our facilities in the future."